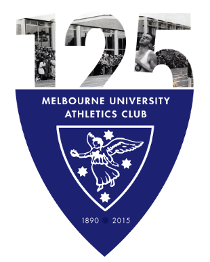 28 athletes from Melbourne University Athletics Club took to the Sandown Racecourse on Saturday, 29th of May for Round 3 of Athletics Victoria’s XCR ’10 – the Sandown Classic 10km race. The standard of racing was extremely high with 108 athletes breaking 35 minutes and the White Train (as MUAC’s road and cross country team is known) was a significant part of the action. 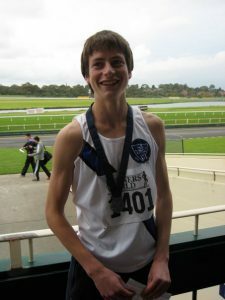 Harry Smithers, in his first competitive race over 10km, scorched around the track in an impressive 32:20 to take 2nd place in the Victorian U20 10km Championship. Not far behind him was reformed frat boy Zac ‘the Incredible Hulk’ Newman, with a time of 32:54, heartbreakingly close to his 32:50 pb and in great shape for the rest of the winter season. Hamish Beaumont came in forty seconds behind Zac and was subjected to a thorough critique of his questionable pace making skills. 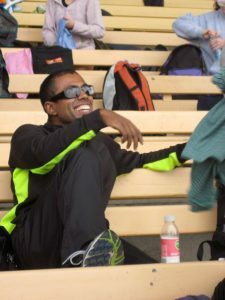 Emil Gundesen, MUAC’s number one Danish middle distance runner, was not far behind in his first ever 10km race and remarked after the race that “it was a lot further than 800m”. David Ulbrick, another middle distance aficionado, chased Gundesen up the home straight but couldn’t quite catch him, but recorded a PB nevertheless. Rounding out the first team for MUAC was returning marathon superstar Andrew Selby-Smith. Winter Captain Sarah Emons flew around the three laps of the track to claim 16th place in the Women’s Open race in a time of 37:23, not far outside her personal best. Kate Scarlett, MUAC’s Winter Manager, and Julie McNamara, renewed a rivalry formed on the beaches of King Island, and came across the line only ten seconds apart. Al Bryant-Smith, the White Train’s most vocal supporter, rounded out the Women’s Division One team with a strong run. Notable runs also came from White Train debutants Claire Miller, Rohan Sheehy, Leigh Godecke and Liam ‘Rowdy’ Morgan. MUAC stalwart Paul Kennedy put in a sterling performance to claim a time of 39:57 off a training base of chasing his young sons William and Tom around the back yard. In team results the Women’s Division One team took seventh in the elite top division, while Division Two claimed third place and Division Four placed fourth. In the Men’s competition, MUAC’s Division Two team came second, their best placing of the year so far, and Division Three came seventh and Division 5 came third (team results are provisional). The team celebrated the race and numerous personal bests with a long afternoon tea, mostly spent planning what to do on Saturday night.